excellent on arrival - I hope it lasts.. Excellent product at a good price, extremely well packaged and delivered quickly. Many thanks! One of the few replacement leisure batteries I could find for my 1998 VW Westfalia campervan. Excellent service and fast delivery. It's an expensive item but Tayna offered it at the best price I could find. Very professional and knowledgable team. Found correct part from my obsolete reference number and able to dispatch from stock immediately. Coped well with me changing delivery address 24hrs later. Battery arrived next day - many thanks. These are the second batch that I have ordered from Tayna to replace our electric boat batteries. We have two sets on board and I replaced the first set a couple of years ago. So now we have lots of cruising range from these Sonnenschein batteries which outperform the Exide Leisure batteries which were previously fitted. 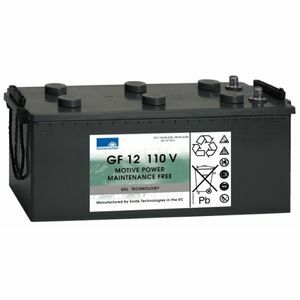 Perfect replacement leisure battery for my 1998 German Westfalia which had lasted from new! Great product and delivery, thankyou. Very speedy service and useful web site. Product was sent onto a customer but very impressed with the quick service. Definatly be using Tayna again! If i need to find a battery again I will use Tayna, promt sevice, recomended.